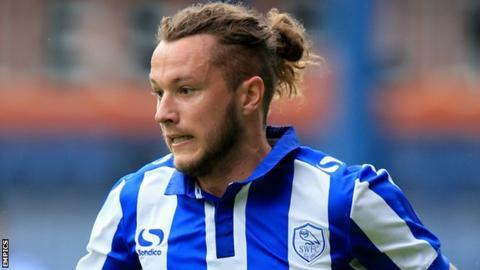 Preston North End have signed strikers Stevie May and Eoin Doyle from Sheffield Wednesday and Cardiff City respectively. May, 22, made 42 appearances for Wednesday and joins North End on a three-year deal for an undisclosed fee. Doyle, 27, signed for Cardiff from Chesterfield in January and joins Preston on a season-long loan deal. Doyle scored 25 goals from just 33 appearances for Chesterfield last season prior to joining the Bluebirds. "Stevie and Eoin are players that we've been after in the past," North End boss Simon Grayson said. "When the option became available to be able to sign one permanently and one on loan, it was a great opportunity to get good players who will enhance the squad."